This was an odd little presentation. Not because of the content or the presenter, but because this was one of the few times I could barely hear what was going on. Heh. So, yeah, that was fun. There were some things Dockery wanted to point out. For example, that a flamethrower is not a fire arm. A fire arm requires propellant. Fun fact: if you touch, smell, handle, go anywhere near nitroglycerin (and aren’t dead at the time), you will get a headache. It’s one way to tell that it hurts. Early hand grenades are in the 1880s, with a three pound cannon ball. And yes, it came with a grenade launcher. I also heard about gyrojets…. which I barely caught anything about. But I’ll probably have to do some research. Preferably not on Wikipedia. There was also a display case with really large bullets. I’d go into more detail, but it would have required me to get a photo of each one and match it up to what he was talking about, and I was too far back for those photos to make any sense. While I think about it, I do some cute things with .50 cal rounds on vampires in the Honor at Stake series. Heh. 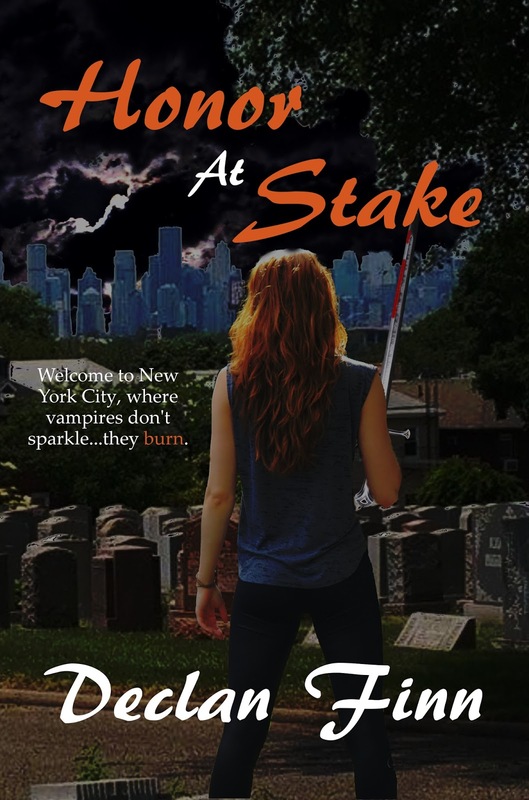 You can get my Sad Puppy and Dragon Award Nominated Novel Honor at Stake by clicking this link. Heh. This entry was posted in Writing and tagged Guns. Bookmark the permalink.